Author: Uljanik. License: All rights reserved. 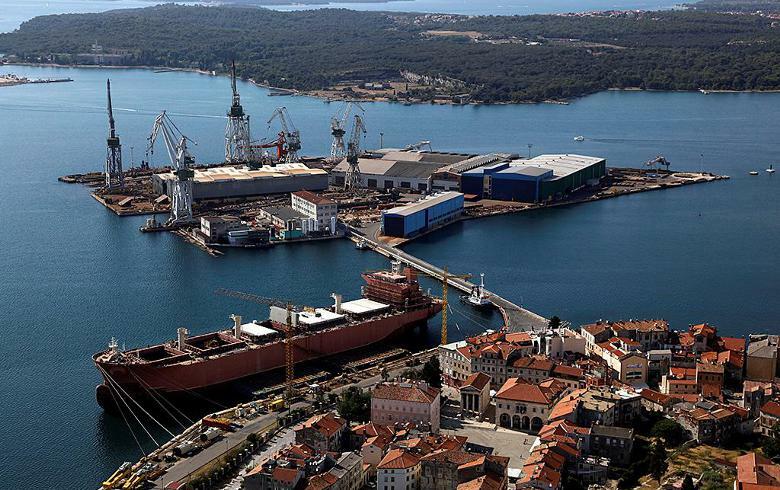 ZAGREB (Croatia), February 7 (SeeNews) - Croatia's troubled shipbuilding group Uljanik said on Thursday it has chosen local peer Brodogradevna industrija Split (Brodosplit) as its strategic partner. Brodosplit will be contracted to prepare, in collaboration with Uljanik, a restructuring programme for the Uljanik Group and the Uljanik shipyard, the group said in a filing to the Zagreb Stock Exchange (ZSE). The selected strategic partner will be allowed to enter into the Uljanik group's ownership structure via recapitalisation, pursuant to a decision of Uljanik's shareholders. Split-based Brodosplit designs and builds ships including tankers, product/chemical/bulk carriers, container vessels, passenger vessels, car passenger ferries and more. The shipyard currently employs more than 2,000 people. The Uljanik Group comprises two major shipyards -- Uljanik [ZSE:ULPL-R-A] and 3 Maj, along with smaller subsidiaries. The group has been in financial trouble for some time due to the adverse effects of the global financial crisis on the shipbuilding sector in general which has led to a drop in orders for new vessels.